The President of France, Emmanuel Macron, is calling for the adoption of Blockchain technology in the European Union food supply. In particular, he is advising the EU government to facilitate the application of Distributed Ledger Technology in bringing transparency to the agriculture industry by enhancing food traceability. Macron was speaking during the 56th International Agricultural Fair in Paris that was recently held. The EU is made up of 27-member states with different agricultural potential as well as varying food demands. This makes the different members depend on each other for different food products. The complex nature of the food supply chain raises logistical challenges that may adversely affect quality assurance. In this regard, there have been cases where food products have been of low quality and unfit for human consumption. For instance, in early February, the recent “sick cow scandal” reports emerged where there were allegations that sick cows were being slaughtered in Polish abattoirs. Consequentially, many countries were forced to cut their demand for the meat product from Poland out of fears. Besides the polish meat scandal, there is a growing concern that the agri-food industry is exploiting migrant labor in countries such as Italy and some activists want to put an end to the practice. The different problems in the food industry seem to have a solution in a platform that proffers transparency. Further, many EU policymakers are alarmed that the lack of a platform to track food quality is missing and future cases can go undetected. Although there are other ongoing projects that use platforms powered by Blockchain technology to track, the proposal by the French President is unique as it will be implemented at the worlds’ second largest economic block. 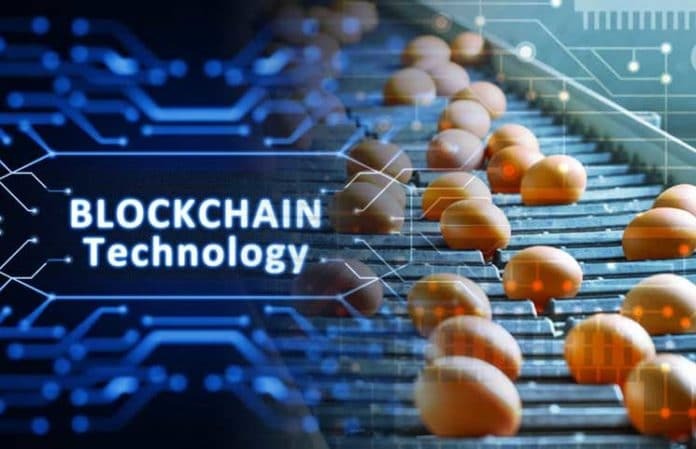 Other instances of the Blockchain platforms that are used in food tracking is the Walmart DLT that was developed and deployed in joint partnership with the IBM Food Trust. However, adopting a Blockchain platform at the EU level would be totally different as it would be the most widely used DLT network in the world. This would set a new precedence in Blockchain technology adoption that many industry stakeholders can use as a basis for implementing DLT in different use cases. According to the French President, adopting Blockchain technology will make it possible for Europe to have a system that tracks agricultural raw materials from farms to processing and packaging, and finally to the consumers. He added that the project could have “shared excellence” by transforming Europe’s agricultural policy as well as uplifting the local business environment that is complex and extensive. There is also the motivation for a multi-part strategy that seeks to protect consumers and farmers against market risks and climate change. Hence, if Macron’s proposal gets its way, farmers may be required to adhere to some standards and the logistical data will be managed by a complex network of Blockchain. Macron is now counting on other European countries to support his idea. Additionally, he is proposing a European task force for fighting food fraud and substandard food products.